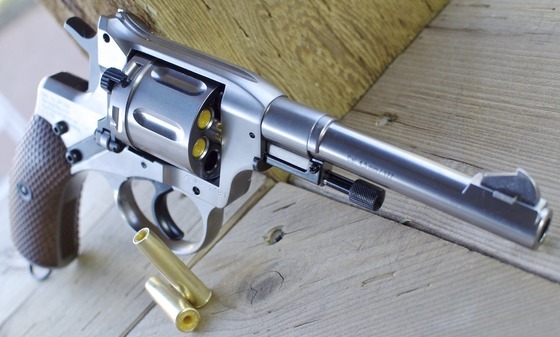 Keep in mind I have already made a Table Top Video Review for the Gletcher NGT Silver CO2 BB Revolver where you will find all the specs and of course a nice close up walk around showing off the detail on this very beautiful classic revolver. 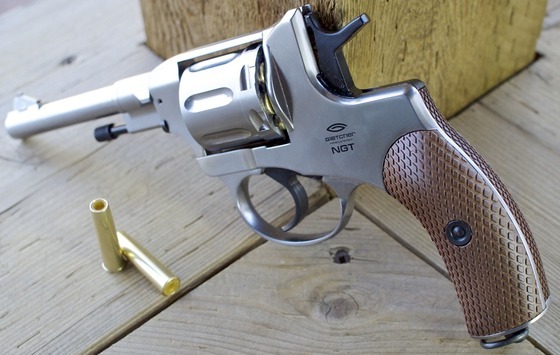 I always like getting and shooting the airguns I review and the Gletcher NGT CO2 BB Revolver was no disappointment! The Gletcher NGT is a fairly small air revolver and so pretty much anyone should be able to shoot this air pistol even if you have smaller hands, I did find that pre-cocking the hammer for single action shooting was a bit of a stretch when reaching over with the thumb, but you can just as easily shoot in double action, both trigger pulls are nice and light with the double action being a bit longer. Loading the 7 round cylinder will take longer than your standard stick magazine BB pistol since you first need to pop some 4.5mm Steel BB's into each shell and then individually load each shell into the Gletcher's metal cylinder while you index it. In terms of FPS performance, the Gletcher NGT Silver CO2 BB Revolver shot right about where I thought it would shoot getting about a 342 fps average 7 shot velocity. Claimed is up to 350 so the NGT hit it's marks in this category even on a rather cool day. I found that the little Gletcher NGT had a pretty loud crack to it and could even feel a small amount of push back with each shot. 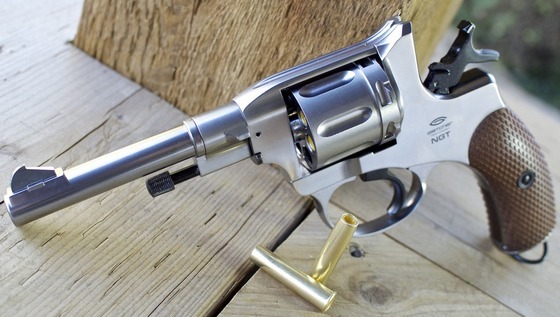 I would definitely recommend the Gletcher NGT CO2 BB Revolver in either silver or black, what ever your preference? Not only is it a real looker but it also has the performance to back it's looks.